Walk from The Mortimers Inn, at junction of A4110 & B4362. Grid Ref 425 636. 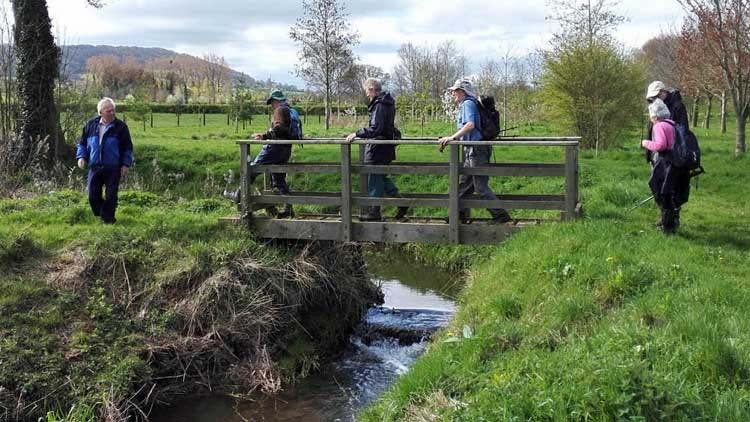 Ludlow Walkers is a group of local walkers who have organised regular walks in the area for the past 25 years. The walks, to which anyone is welcome start at 10.00am (unless otherwise stated), take between 2 1/2 and 3 hours, and normally end with an optional pub lunch. Walks are cross country, and there are stiles to climb, so boots or walking shoes are needed. Whilst the leader has always checked the route in advance, you come at your own risk. We have been making voluntary contibutions to Citizens' Advice for many years, raising over £8900 to date. If you want general information about the group ring Susan on 01584 877315, or for individual walks, the leader.